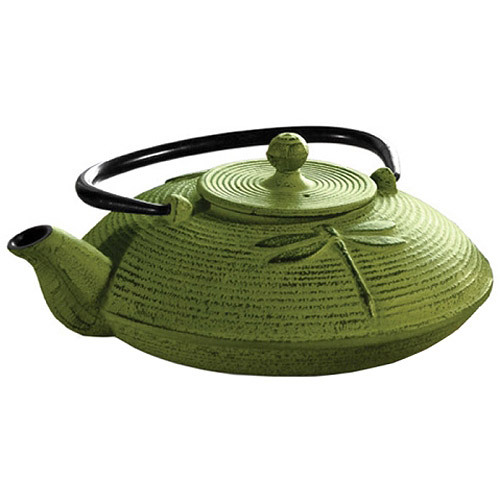 Myst 28 oz Cast Iron Teapot - Green�MODEL# PCI5228 Product Description: In Japanese culture, a dragonfly symbolizes new beginnings and good fortune. 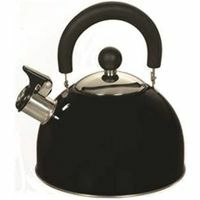 So why not begin your day with a hot brewed cup of tea made in Primula’s Myst Cast Iron Teapot? Uniquely crafted, this exquisite teapot is a gorgeous green color accented with black ribbed lines and a black fold-down looped handle. The dragon fly adorns the side adding a distinctive allure to your pot. 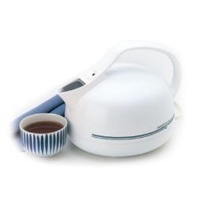 Cast iron teapots are designed to deliver exceptional brewed tea every time. They distribute heat more evenly, thereby extracting more of the tea leaves’ flavor during the brewing process. The cast iron design also traps the heat inside, keeping your tea hot for up to an hour. Primula’s Myst Teapot has a removable lid and a short curved spout and comes with a loose tea mesh infuser that sits securely in the pot. The interior of this teapot is fully enameled which makes for easy care and cleaning, and helps prevent rust and oxidation. 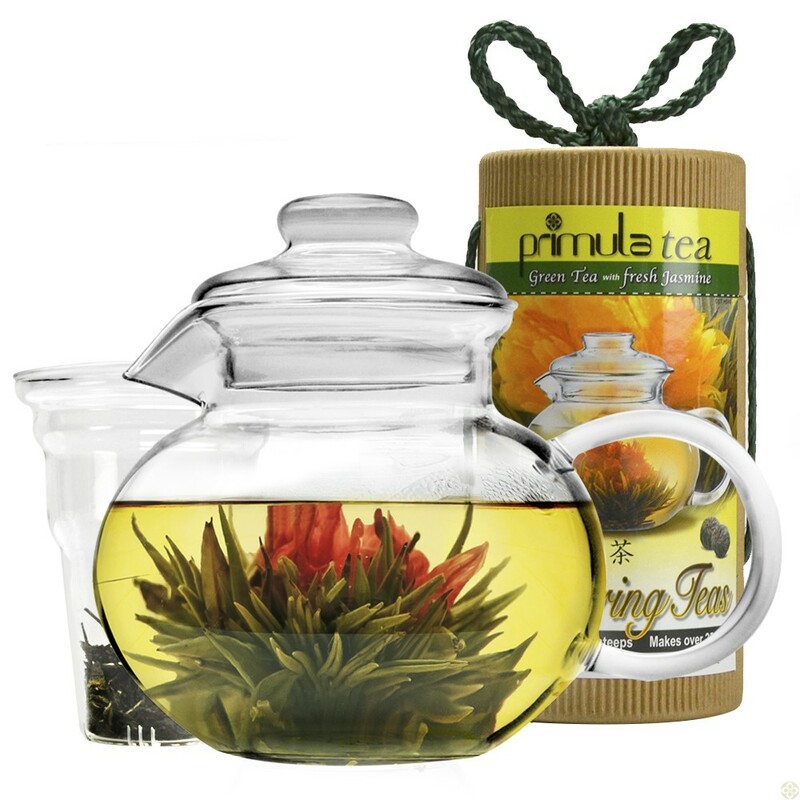 The Myst Teapot holds 28 oz and includes a packet of loose green tea so you can enjoy a flavorful cup as soon as you open the box. 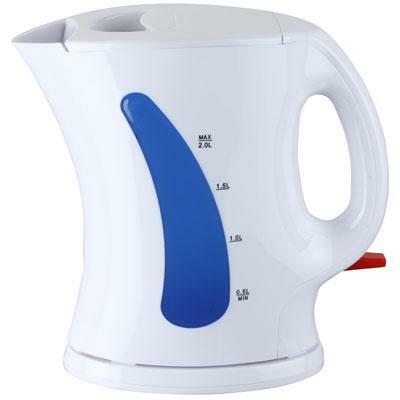 3 Qt Soft Grip Whistling Tea Kettle- Stainless Steel MODEL#PTK6330 Product Description: Primula’s Soft Grip Tea Kettle holds a generous 3 qts of water- enough to make 12 cups of tea from one pot. 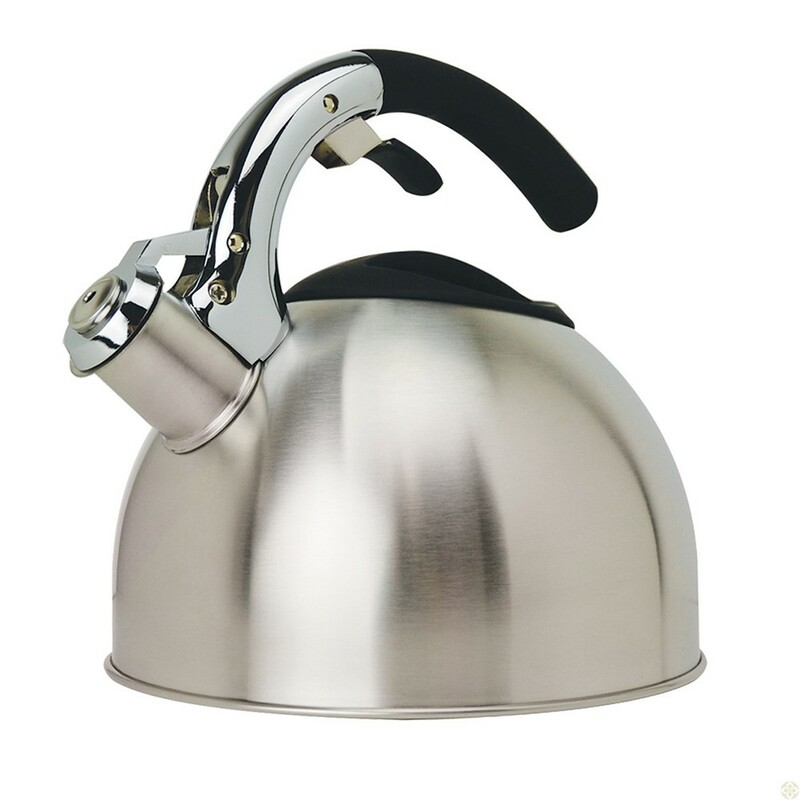 Each Soft Grip Whistling Tea Kettle is constructed of brushed stainless steel with an encapsulated bottom. Stainless steel heats up quickly and helps guard against rust. Primula’s specially designed phenolic soft grip handle provides a firm stay-cool grip. Another special feature is the flip up spout which allows for safe handling and even pouring. Even the lid was carefully constructed, with a heat-resistant looped handle for easy removal to sit atop a wide opening for easy fill and cleaning. A soft pleasant whistle is emitted when water reaches a boil. 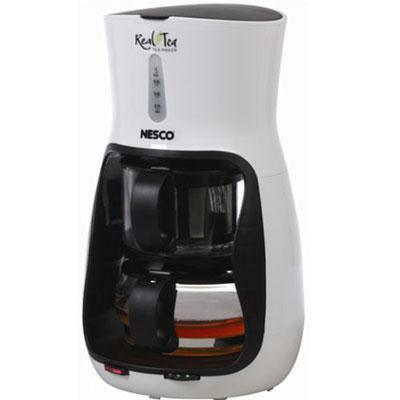 The Nesco Real Tea Tea Maker is a must have for any tea lover. Its ability to brew loose of bagged tea in addition to its variable steeping times opens a whole new world of possibili-teas. Water filters through the one liter heating chamber at perfect tea temperature (not too hot for delicate white or green teas) steeps for the time selected and automatically flows into the glass pot below. It's tea as easy as 1-2-3. Use it to brew: loose tea bagged tea and tea blends. 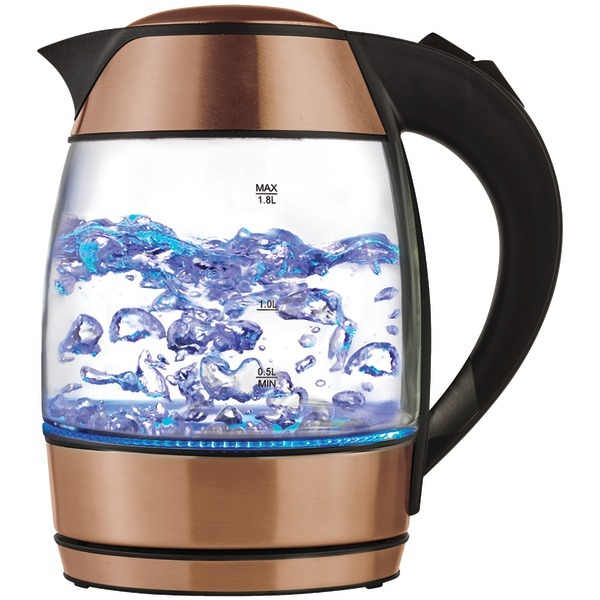 Features: 1 Liter water tank adjustable steeping times auto keep warm function glass tea pot stainless steel steeping chamber anti-drop indicator light. This item cannot be shipped to APO/FPO addresses. Please accept our apologies. 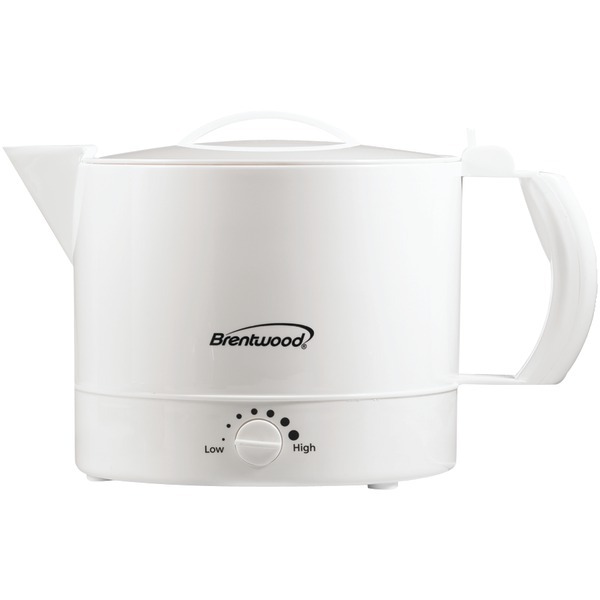 The 120 Watt 32-Ounce Plastic Hot Pot from Brentwood Appliances has an adjustable thermostat so you can regulate heating temperature. Weight: 1.8lbs. 5.5"H x 6.5"W x 9.75" White finish cETL. This item cannot be shipped to APO/FPO addresses. Please accept our apologies. 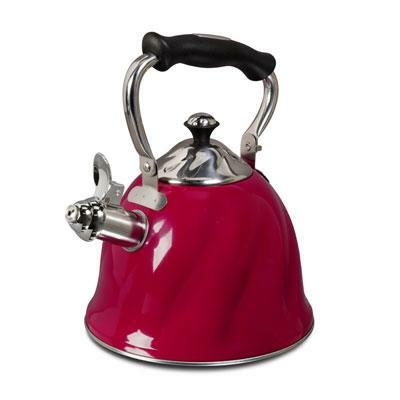 Alderton Red finish Stainless Steel 2.3-Quart Whistling Tea Kettle with Lid. This item cannot be shipped to APO/FPO addresses. Please accept our apologies. 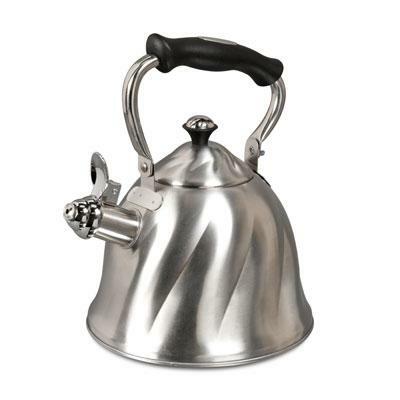 Aluminum Percolator 9 cup MODEL#�3609-CPA Product Description: Primula’s 9 cup Percolator delivers piping hot percolated coffee from your stovetop or campfire. 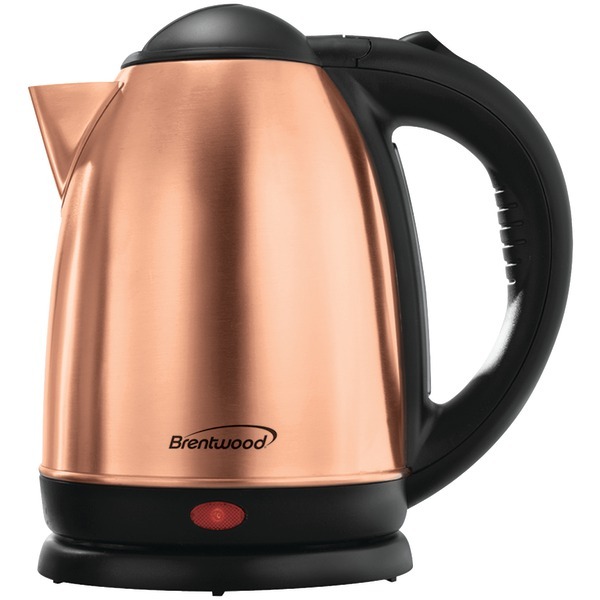 In fact, one benefit of a percolator is the ability to brew coffee from practically any heat source as long as you have a flat surface to place your pot on. This is one reason why many campers and travelers prefer percolators over electric coffee makers or breakable glass presses and pots. 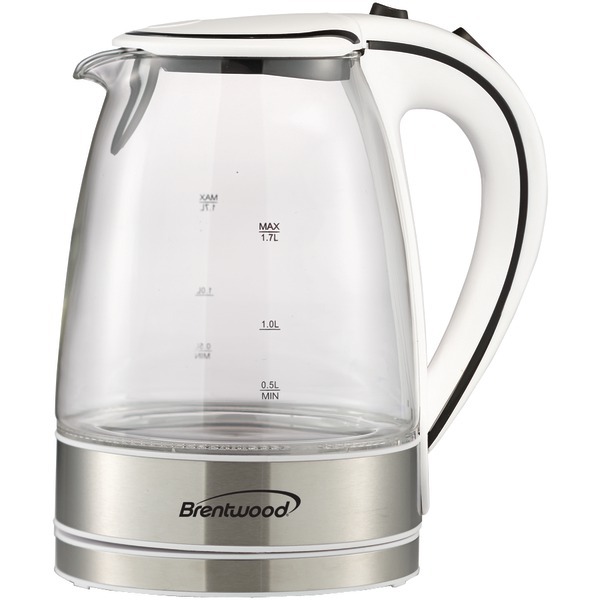 A coffee percolator works by taking the heated liquid from your coffee grounds and reheating it and running it over the grounds repeatedly. 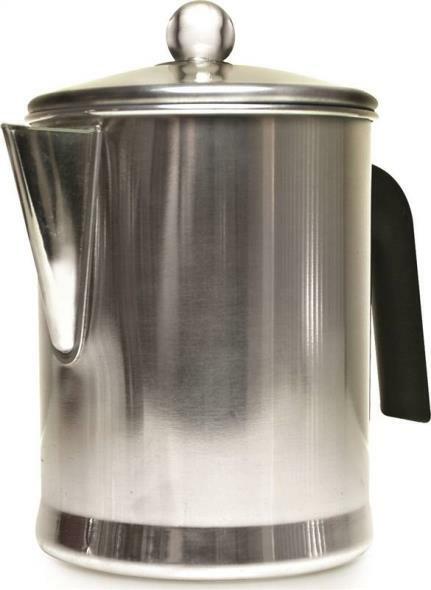 The effect of a percolator repeatedly passing coffee over the grounds delivers a significantly different flavor and strength than traditional French presses or automatic drip makers. Many say it produces smoother tasting coffee. 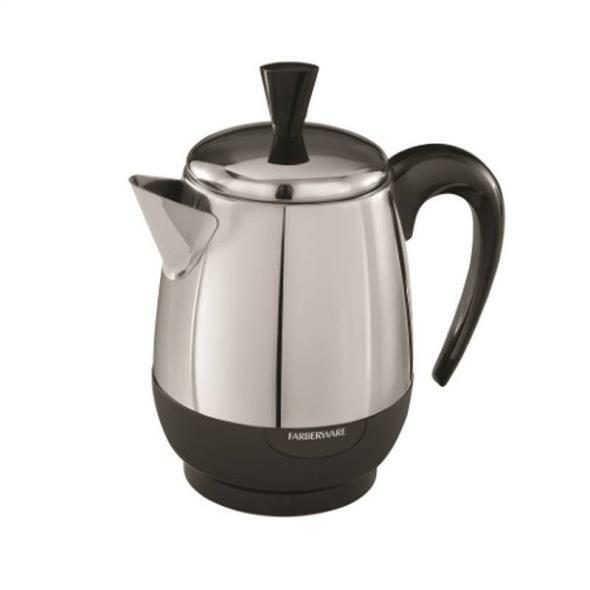 Percolators emit a robust aroma and a distinct gurgling sound while brewing. 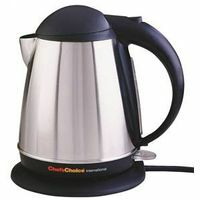 It is extremely convenient when making coffee you want to stay piping hot for large gatherings. 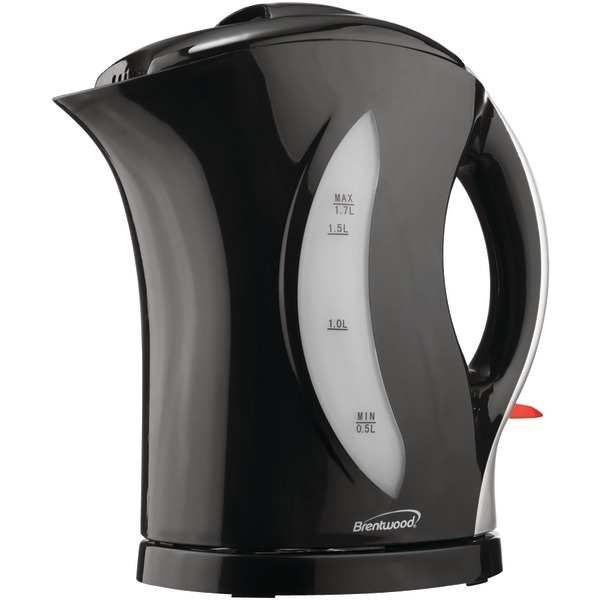 Primula’s percolator is made of durable aluminum and features a matching lid, lipped spout and stay-cool black plastic handle. It holds 36 ounzes, enough for 9 cups of coffee. � Product Info: Item Number: 3609-CPA UPC: 741393114805 Weight: 0. 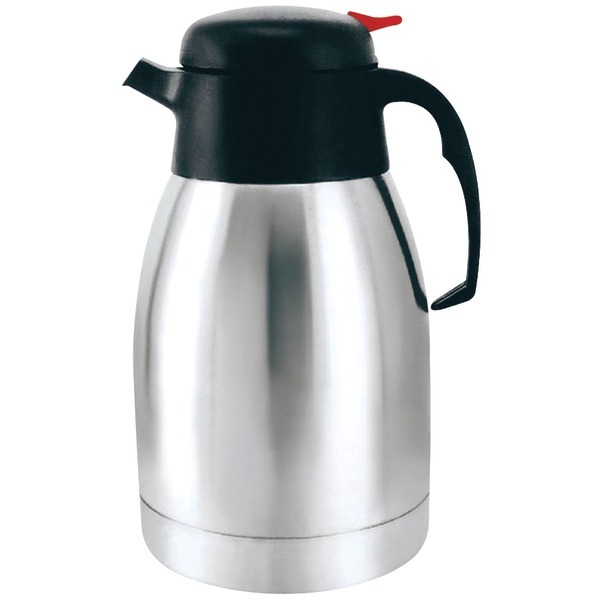 81 lbs Exact Capacity: 36oz Use: Everyday Color: Aluminum Individual Item Dimension: 7. 48"" H Material: Aluminum . 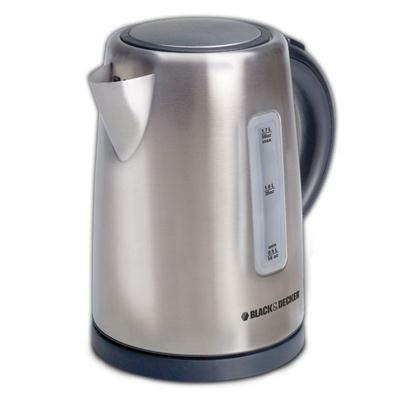 This Black & Decker Stainless Steel Electric Kettle has 1500 watts of power and a 360-degree swivel base. 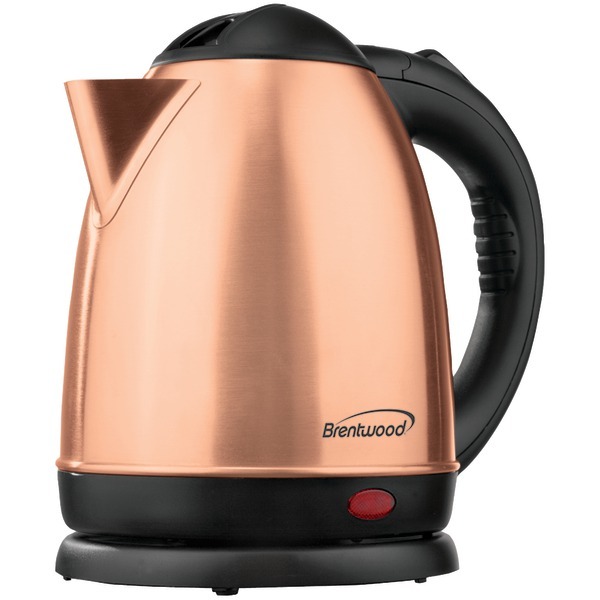 This is great for boiling water in minutes for tea cocoa hot drinks soup oatmeal and more that can be handled easily from any angle whether the user is left or right handed. 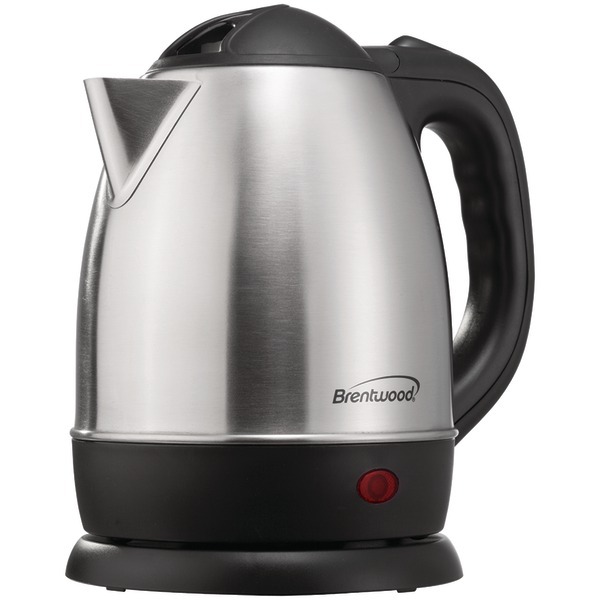 The auto shutoff feature lends to peace of mind so the user never has to worry if the kettle got turned off or not. Water Level Indicator (Front) Boil/Dry Protection. 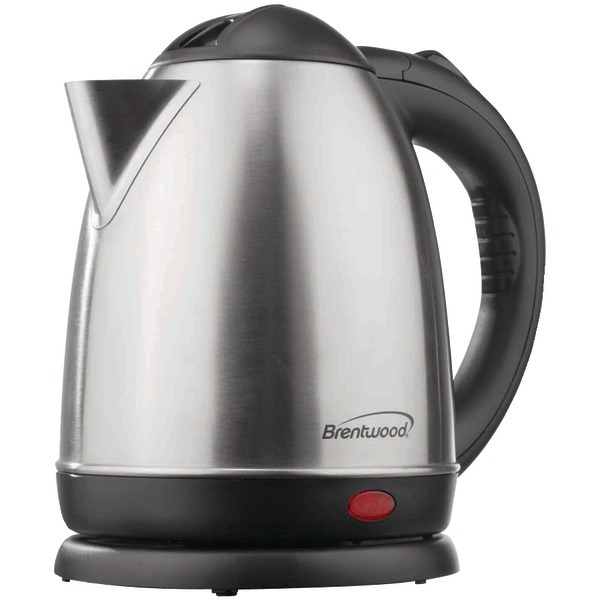 Kettle shuts off when water is low for added security This item cannot be shipped to APO/FPO addresses. Please accept our apologies. 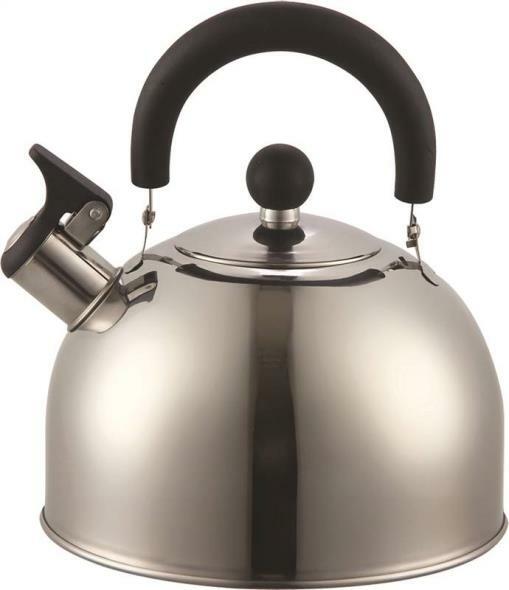 Alderton Stainless Steel 2.3-Quart Whistling Tea Kettle with Lid matte polished finish. This item cannot be shipped to APO/FPO addresses. Please accept our apologies. 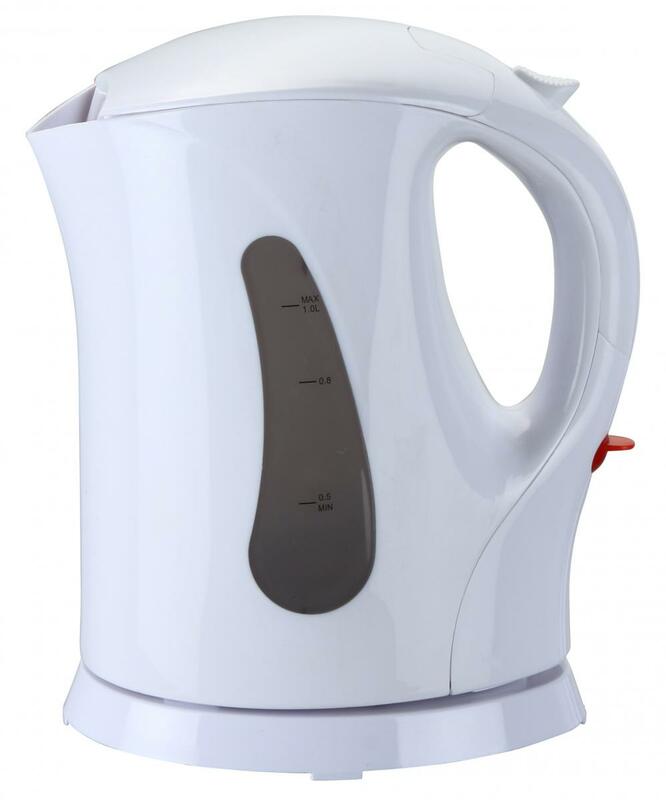 White finish 2 Liter Cordless Water Kettle with water level window Auto Shut Off Easy open Lid Detachable base removable filter 1200 watts cETL. This item cannot be shipped to APO/FPO addresses. Please accept our apologies. 2.5 Qt. 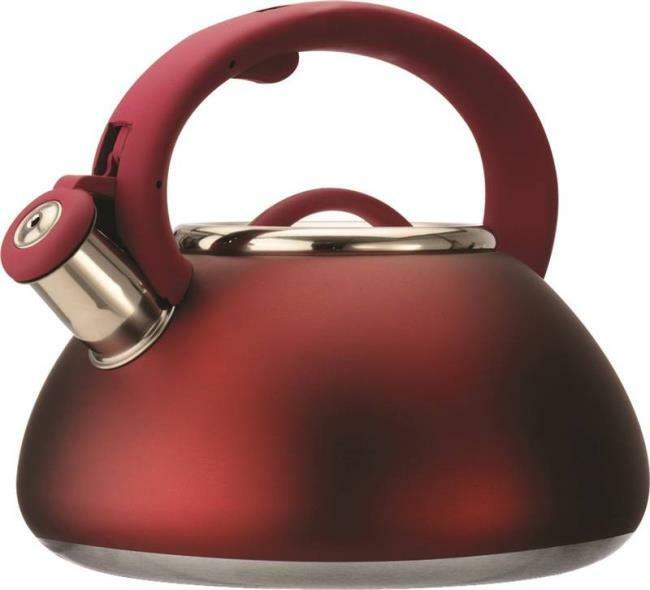 Avalon Tea Kettle with Matte Red finish from the Epoca Primula Collection is made of stainless steel with a seamless bottom. 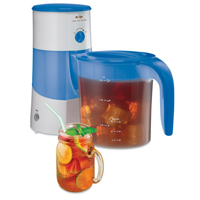 It features a stay-cool handle with a trigger spout for safe handling and a removable lid for easy cleaning and filling. Classic whistle sounds when water is boiling. NESCO Electric glass water kettle that boils faster saves energy has a 1.8 quart capacity BPA free with level marks. A 360 swivel power base with cord storage and a SS concelaed heating element and trim. 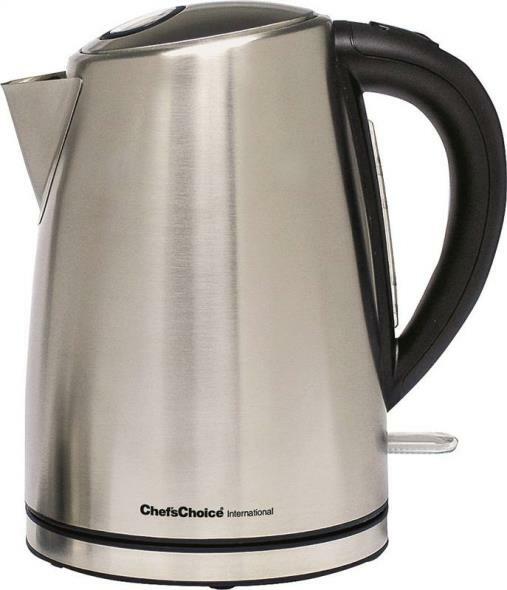 Kettle turns off when it reaches chosen temp. Ideal for kitchens dorm rooms and offices. Stainless and glass This item cannot be shipped to APO/FPO addresses. Please accept our apologies. 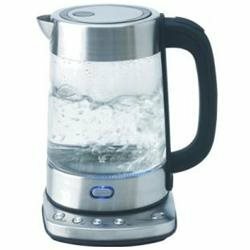 White finish 1 Liter Cordless Water Kettle with water level window Auto Shut Off Easy open Lid Detachable base removable filter 900 watts cETL. This item cannot be shipped to APO/FPO addresses. Please accept our apologies.